Postman Pat is an Animation programme that first aired in 1981. 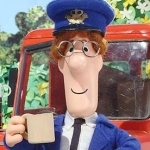 Postman Pat was created by John Cunliffe and produced by Ivor Woods for Woodlands Animation. The tv series was narrated by Ken Barrie. 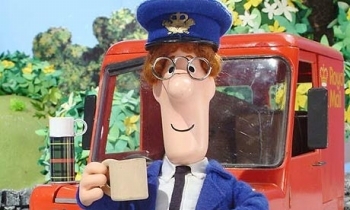 Postman Pat lives in the Yorkshire Village called Greendale with his wife Sara, his son Julian and his cat Jess. His house is called Forge Cottage and he goes about his postman duties with a smile on his face and he loves a good joke too. He loves his job because there are always plenty of people he can chat with and help if neccessary. There are many colourful characters who live in Greendale and often take part in many of Postman Pat's adventures including Mrs Goggins who runs the post office on the village green and Mrs Hubbard who can be seen riding her bike and the village bobby, PC Selby can also be seen around the village.